One of our sponsored Grommies Ed has recently stared in an episode of Dr Who - The Sontaran Strategem. In Ed's spare time when he isn't surfing - he is keeping himself busy with a spot of acting! Where in Portugal did you stay? Been there before? Sagres. Yes went last year but didn't surf because it was too big. How hot was it? 20-25 degrees & sunny. What breaks did you surf? And which was your favorite? 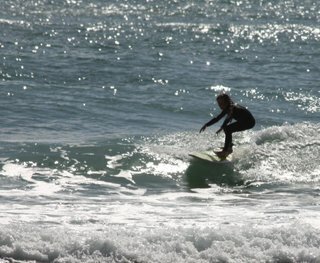 I surfed at Castelejo, Tonel, Beliche, Zavial, Mareta. I liked Beliche the most. 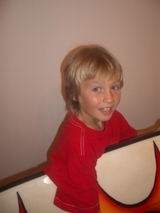 What board did you ride? My 6'4" fish. How were the waves compared to Devon? They were much better because they were more powerful and barrelling. How big were the waves? 2-6ft but 4ft was the biggest I surfed. 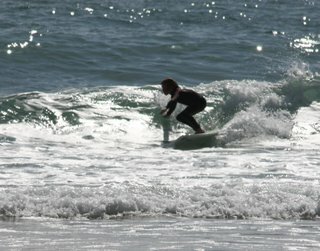 Were there many other Groms in the water? No. I was the only grom. 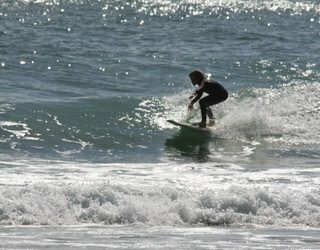 Any tips for Groms visiting Portugal? Go to Beliche. The water is a nice colour and very clean. Planning any more surf trips? Cornwall in the summer and then it is up to my dad! !